To configure the Department auto-suggest form control to let the form user select his or her department on the Create Absence Request eForm, do the procedure in this topic. 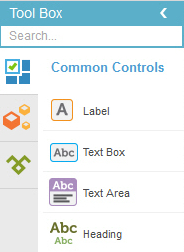 On the Common Controls tab, drag a Auto-Suggest form control onto your eForm. 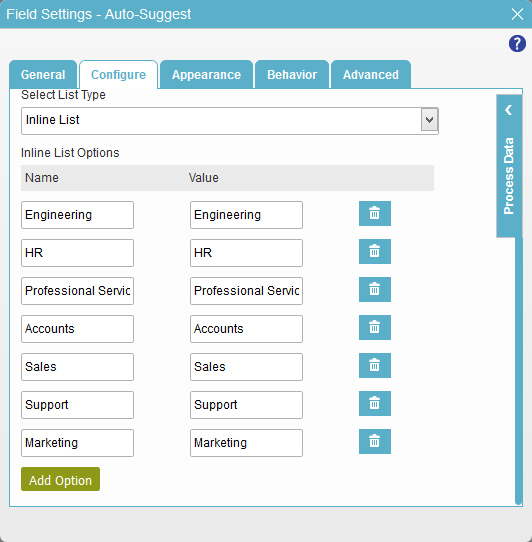 On the Field Setting - Auto-Suggest screen, click the General tab. In the Label field, enter Department. 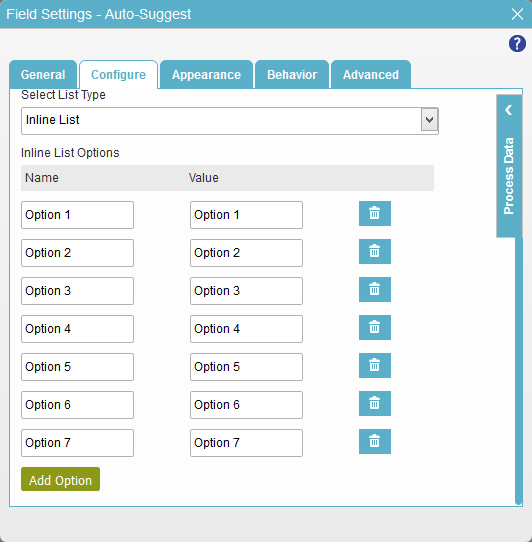 In the Inline List Options section, click Add Option 6 times to add a total of 7 rows. 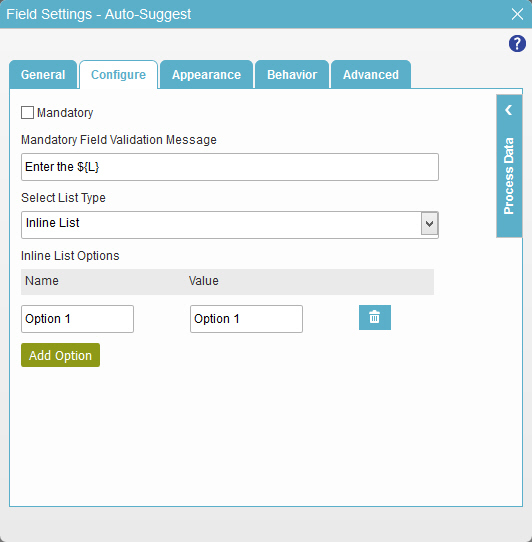 In the Name and Value fields, enter these values. 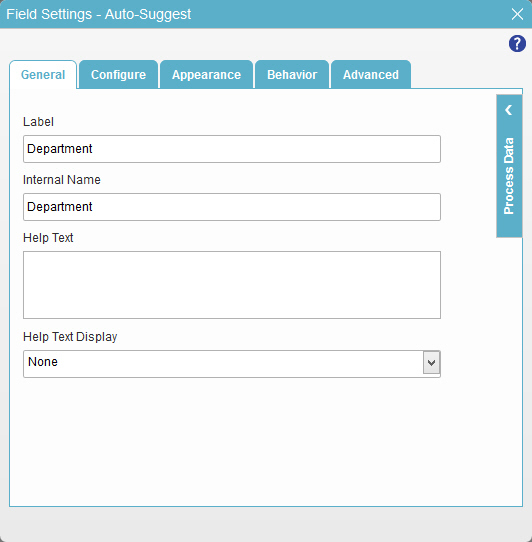 The eForm Builder shows the Department field for the Create Absence Request eForm.